From 11/17 through 11/25, you can head into a Walmart store and buy any HTC, Motorola, LG or Samsung phone and receive a $100 gift card. For those of you thinking about buying those family members (or yourself) a phone for the holidays, this might be a deal worth checking out. 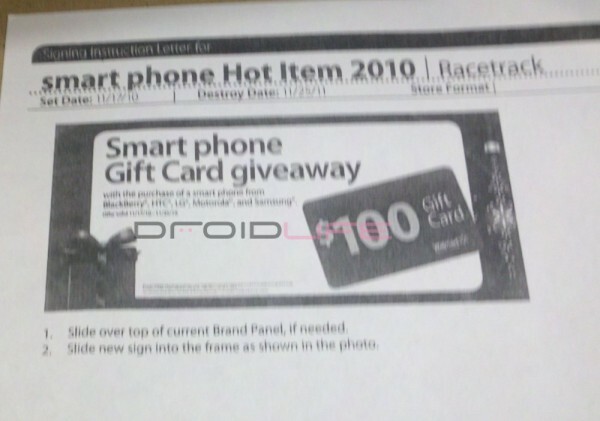 In case you didn’t know, Walmart actually has a pretty good selection of Android phones including the Droid lineup which we’ve featured here.